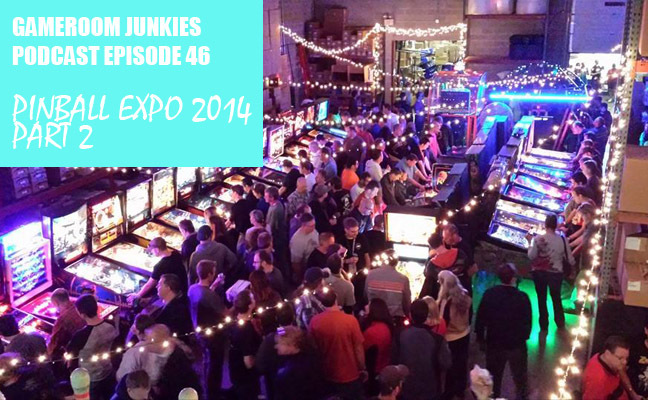 We’re back for more with round 2 of our Pinball Expo experience! In this episode we talk about more highlights from the show including our thoughts on all the new games being released including The Big Lebowski, Full Throttle, America’s Most Haunted, The Walking Dead, Lexi Lightspeed: Galaxy Girl, The Hobbit, and more! We also scored some great interviews for you including Dan from Project Pinball, Robin from Pinside, and David from Life Under Glass. Lastly, we talk about another cool fan-submitted gameroom idea before closing the books on Episode 46! This episode is co-sponsored by Arcade Expo, the biggest arcade and pinball show in Southern California and by HSA Pinball, playfield restoration specialists!